Currently on the falconry station there are about 30 birds. 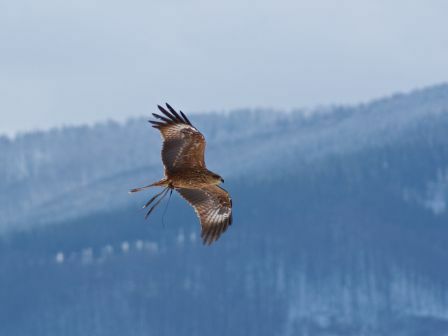 There are among them native species such as red kite, black kite, common buzzard, hawk, golden eagle or falcon. We also have interesting birds from different parts of the world such as: bald eagles, laggar falcon and the only one in our country Black-chested Buzzard-Eagle from South America. Most of them are birds on the exposition, which we can watch in specially prepared aviaries. The greatest attraction of falconry station are falconry shows, which are ideal opportunity to get real close to birds of prey. This is also a chance to photograph them outside cages so we recomend to get your camera. By the show there are presented different species what makes the demonstration very attractive. from November to March: 11:00, 14:00. Panoramic photo of the shows in our park.